A Wisconsin car enthusiast known as “Big Nick” says he was recently fortunate enough to be part of the resurrection of the “Boss Bird Jr”—one of Arnie ” Farmer” Beswick’s least known and rarest Pontiac drag racing cars. 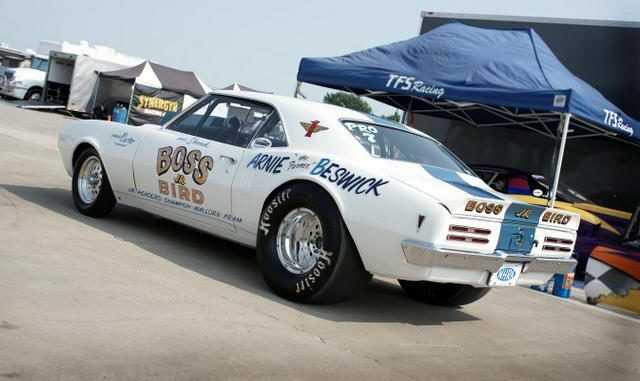 Beswick is a driver from a small Illinois farming town who found success in drag racing. 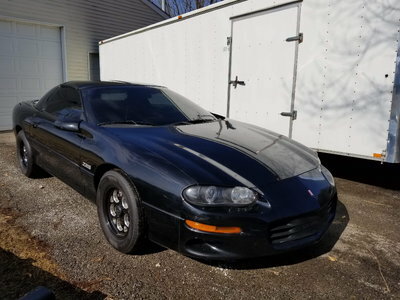 Today, he is probably the best-known Pontiac drag racer of all time. Beswick grew up on the family farm in Morrison, Ill. and at an early age developed a passion for automotive mechanical work. By the mid-‘50s he was racing Oldsmobiles and Dodges. In 1958 he purchased a new Pontiac Chieftain and a tradition was born. 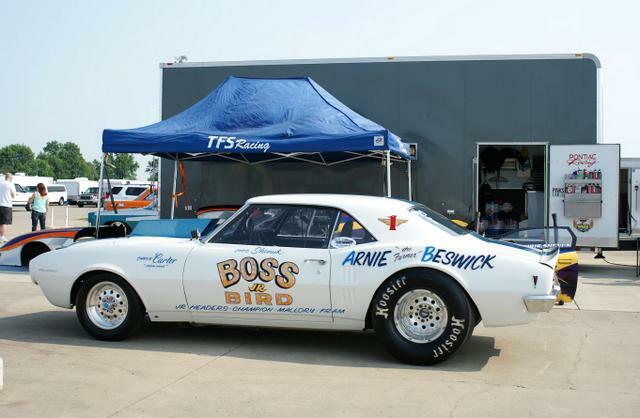 Beswick’s continued success behind the wheel of Pontiacs became nothing short of legend in race after race around the country. In 1959, he raced a new Pontiac. A 1960 348-hp Ventura was his first special drag car. By 1961, he had a new Pontiac that was absolutely unbeatable. Beswick beat the famous Royal Pontiac team three straight times and also outran Mickey Thompson. By 1962, Super Stock wars were in full swing. Beswick raced a 1962 Super Duty 421 Pontiac. In 1963, he achieved more success with a “Swiss cheese” Catalina and a Tempest wagon with 421 Super duty motors and aluminum front ends. Later in the year he also purchased one of the new 421 LeMans Tempest coupes. With the release of the GTO in 1964, secured the only one built with an aluminum front end and no sound deadener. Shortly after taking delivery, Beswick replaced the stock 389-cid V-8 with a 421 Super-Duty engine. 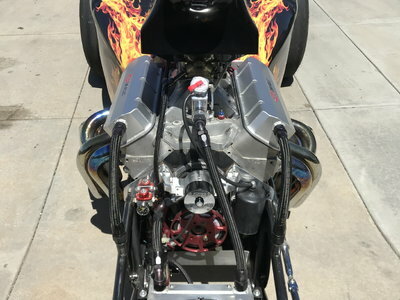 In 1965, Beswick put a supercharger on his GTO and began running nitro. 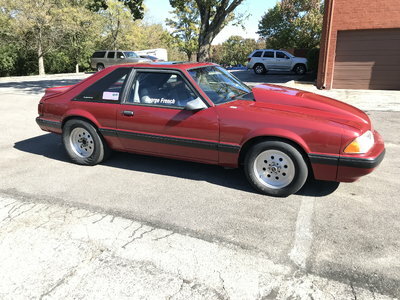 This car became a feared competitor on drag racing’s new “match race” circuit where fans would either cheer or jeer the cars, depending on their brand loyalty. By 1966, the funny car trend was in. 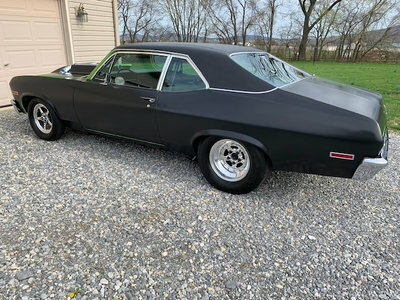 Beswick built a fiberglass bodied ‘66 GTO. The car was colorful and a crowd pleaser everywhere it went. Through a series of GTOs—and later Trans Ams—Beswick remained a force to be reckoned with. 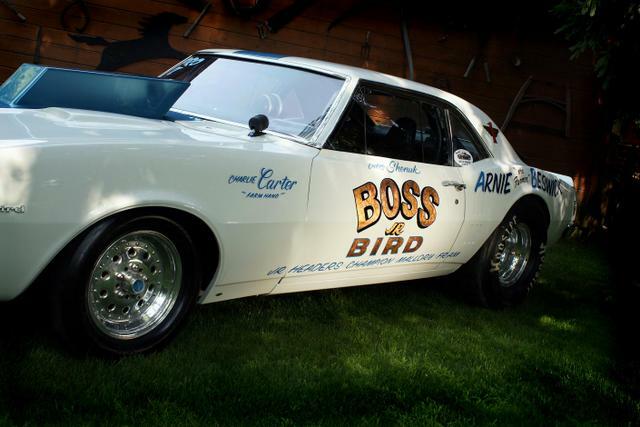 The Boss Jr. Bird Firebird came out of this era. 1968 Firebird. With its white body and blue stripes it looks like a Trans Am, but that model did not arrive in Pontiac showrooms until 1969-1/2. 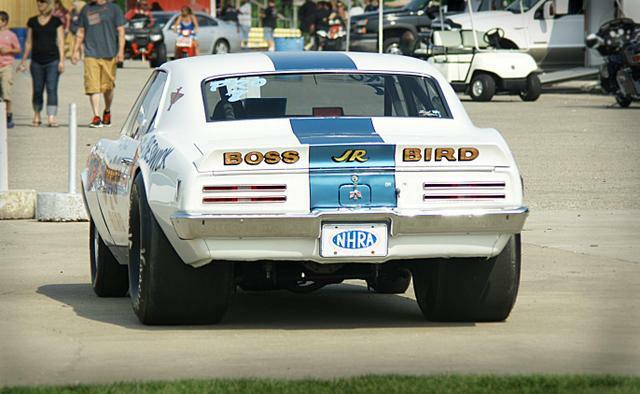 Boss Bird Jr. was raced for only one year in 1970 or ’71. 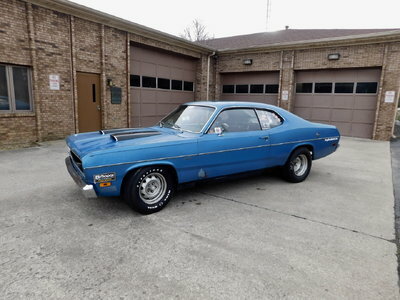 It was not as successful as other Beswick cars and was last seen at Great Lakes Drag-a-Way when it blew an engine. Then, it seemed to have disappeared. There was only one known photo of the car used for a restoration reference. Therefore, Big Nick says he and his friends may have taken some liberty in lettering the car up. Whether it is dead on accurate or not, it sure looks cool. The graphics are of the correct style if not perfect. The car was thought lost, but recently revived. Charlie Carter and driver Chris Shenuk was involved in resuscitation.